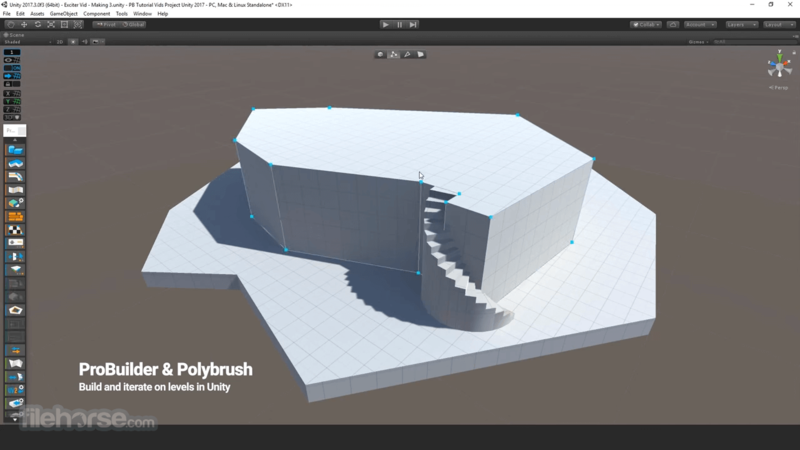 With ProBuilder, rapidly design, prototype and play-test your levels, then blend textures and colors, sculpt meshes and scatter objects with Polybrush (beta). 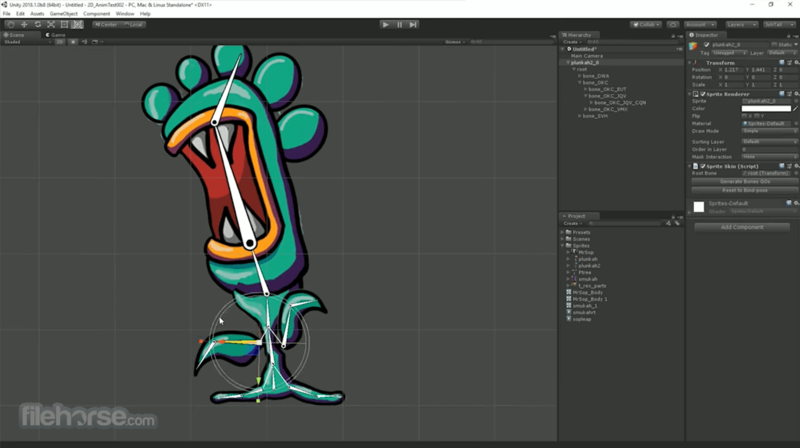 Detail and polish your 3D models on-the-fly with Unity's seamless integration of digital content-creation (DCC) tools like Maya. Get instant feedback with the Progressive Lightmapper, polish and hone your scene with Post Processing, and optimise your scene with Mixed Lighting Modes for the best result per target platform. 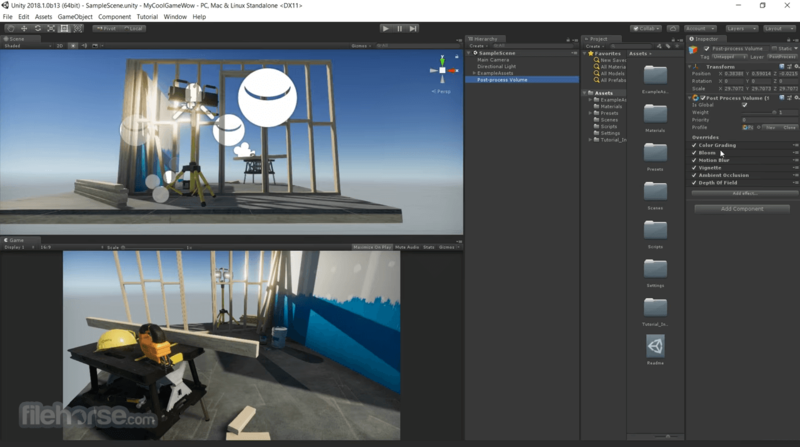 Unity supports multiplatforms, but still stays close to the low level graphics API of each platform, allowing you to take advantage of the latest GPU and hardware improvements, like Vulkan, iOS Metal, DirectX12, nVidia VRWorks or AMD LiquidVR. 25+ platforms across mobile, desktop, console, TV, VR, AR and the Web. With Unity, you can reach the widest audience and feel confident that your IP is future-proof, no matter how the industry evolves or where your imagination takes you. 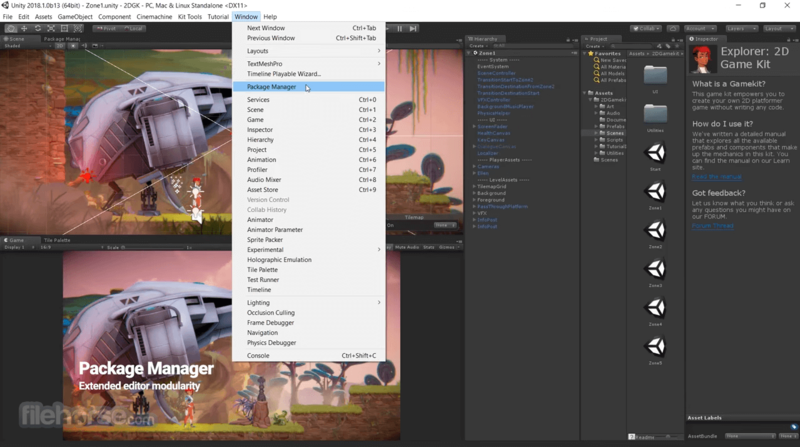 Save, share, and sync your projects and use simple version control and cloud storage, all seamlessly integrated with Unity. Unity Analytics gives you fast, easy access to important information that helps you improve your in-game economy and the player experience. Complete set of live-operation features (game & player analytics, heatmaps, performance monitoring) to monitor player activity. 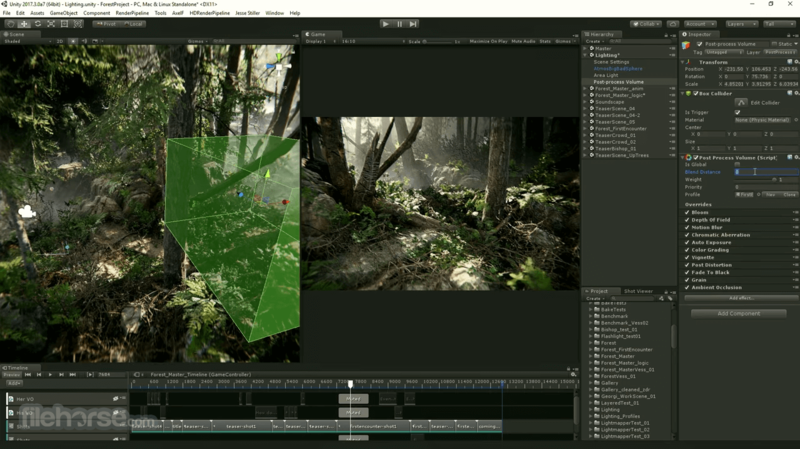 Unity Performance Reporting addresses issues in real-time. Find and address the high priority issues that your customers are experiencing. Collect and react to application errors, in real-time, across devices and platforms. Revenue-generation solutions: Ads & IAP. A complete set of live-operation analytics features for monitoring player activity. Continuous improvements: Optimize the performance of your live games in real-time, without redeployment, and increase user Lifetime Value (LTV) with the power of analytics data. Note: Unity Personal is free, but it can only be used if your revenue is below $100,000 or you have raised less than this amount in funds. Users who do not meet this requirement need to purchase a Pro or Plus subscription, which also offer advanced support features.